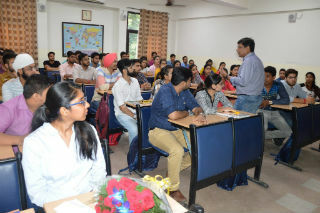 A guest Lecture was conducted by Mr Vikul Goyal (Industry Expert and Visiting Faculty) on "Expectations @ Corporate" for first year of PGDM-IB students on 8th July 2017. Mr. Vikul given an exposure of corporate world by sharing his industry experience. The speaker explained ways and procedures through which one can set goals and ultimately achieving them. He further explained the various roles and profiles that are offered by corporate in different areas and their expectations. 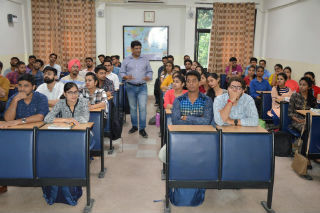 Overall it was an interactive session and was highly appreciated by the students.